Wendy Panero and The Ohio State University Mineral Physics Research Group study material behavior under the high-pressure, high-temperature conditions of the Earth's interior. Experimental efforts use the laser-heated diamond anvil cell to create pressures in excess of 1 Mbar and temperatures in excess of 5000 K. Theoretical tools include ab-initio calculations and molecular dynamics from first principles. Key questions the group address are (1) the behavior of highly- and moderately volatile elements in the Earth’s interior, (2) melting and diffusion of metals at high pressure using isotopically marked, controlled geometry samples, and (3) technical development of laser-heated diamond anvil cell methods. The lab includes an array of seven symmetric diamond cells and one hydrothermal cell. The laser-heating system includes a 50W diode-pumped YLF laser and a dual camera system for temperature and temperature-profile measurements. Theoretical computations are performed at the Ohio Supercomputer Center on the IBM cluster. 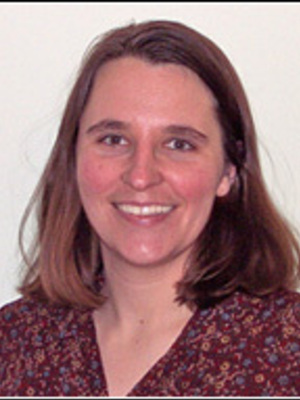 Wendy became an affiliated faculty member of the Astronomy Department in 2017.